ONCHAN, Isle of Man – April 20, 2016 – PokerStars new and increasingly popular series MEGASTACK is coming to a poker venue near players in Ireland, Belgium and France after a successful debut in the UK, announced PokerStars, an Amaya Inc., (NASDAQ: AYA; TSX: AYA) brand today. 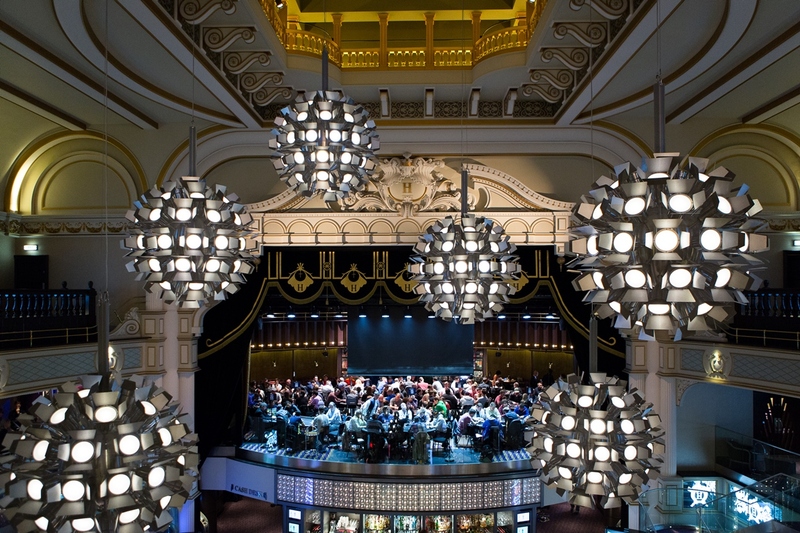 The new live tournament series, which launched in the UK in The Hippodrome Casino London in April, attracting over 520 entries, will now become a live poker staple in some of Europe’s favourite destinations, with over €500,000 guaranteed across all events combined. PokerStars MEGASTACK events are largely aimed at recreational players, offering a space for players to get comfortable at the tables and hone their skills without breaking the bank. The series is designed to bring live poker to players’ doorsteps at a low buy-in level, to create an exceptional live poker experience, and to offer players a platform to build their poker career on, towards competing in PokerStars Championship and PokerStars Festival events. These new additions to the series further demonstrate PokerStars’ commitment to growing the game locally and investing in local poker communities. The new PokerStars MEGASTACK schedule will include increased guarantees, cheap buy-ins, and tournaments with deep stacks. Each MEGASTACK event comes with a massive starting stack guaranteed. Players can enjoy a great poker experience at an affordable buy-in to see if they can turn a MEGASTACK into a mega prize. The expansion of the new series ensures players of all levels can experience all the thrills and excitement of a PokerStars-sponsored live event in their own back yard. Players can qualify online at home through dozens of satellites from as little as €1.10 and then play live from Friday-Sunday, filling a whole weekend with top-notch poker action. Each event is designed to suit a variety of work/life balances, and keep players entertained over three action-packed days. More information on PokerStars MEGASTACK can be found here: http://psta.rs/2osjA8p. Further information can also be found on the PokerStars Blog here: http://psta.rs/2lm1ecD.